The leaves had all fallen and the forests were quiet, awaiting the arrival of winter. A light drizzle was falling and fog moved in and out amongst the trees. This small stand seemed to take on almost human form, each bending a little to whisper to its neighbor in the quietness of the morning. 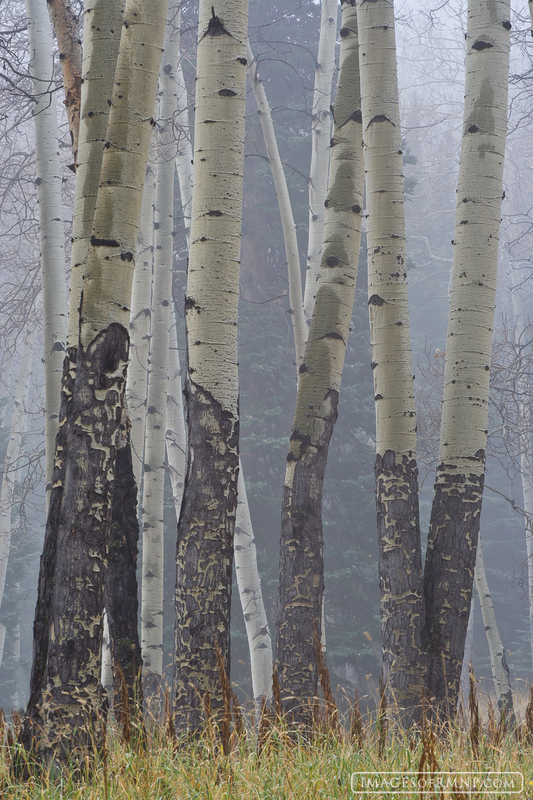 Were they discussing my presence or was there a more pressing topic for these elegant aspen? Perhaps they were simply enjoying these last mild days before the onset of the harsh winter season. Whatever the topic, I was glad to be in their presence on this special late-autumn morning.